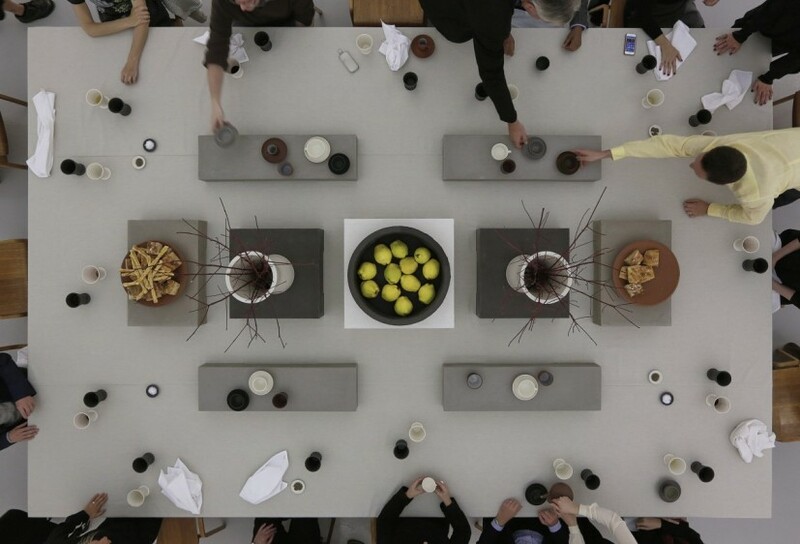 Julian Stair, Quotidian, 2014, still from video projection, duration 9 minutes 42 seconds. Courtesy the artist and Corvi Mora, London. This new body of work, Quotidian, engages a quite different, but equally fundamental aspect of the rituals of human experience: the social; the communal breaking of bread. Quotidian is Stair’s take on the grand, probably aristocratic, dinner service. A table set for 16 diners presents in fact 16 still-lifes. 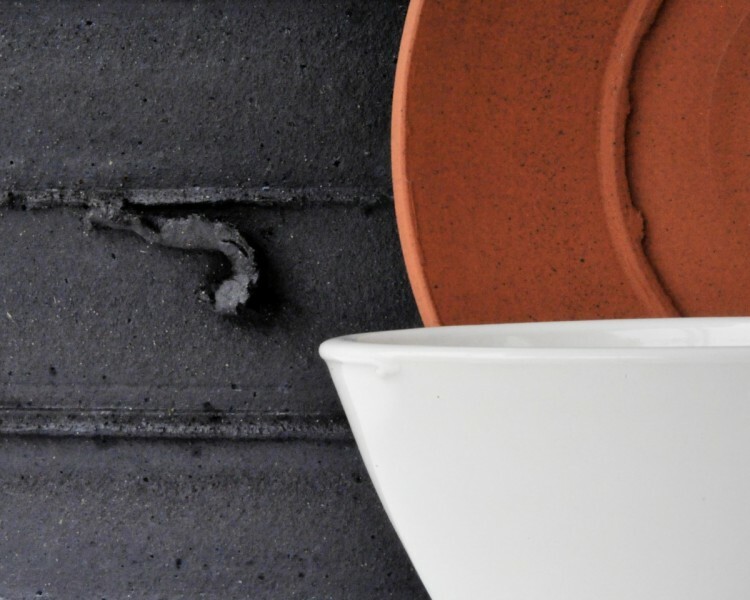 Stair’s unglazed tableware combines an intensely satisfying range of close-toned colours, each one determined by the clay from which it is made. Exquisitely proportioned stands hold groups of vessels off the surface of the table, so that items are lifted from them and then returned once they have been used. It is a device that emphasises the ritualistic. The poise of the installation makes one acutely aware of every gesture involved in eating and drinking – makes one weigh each cup, teapot or jug carefully in the hand to appreciate its balance, its texture, its demeanour. This is Julian Stair’s first exhibition at Corvi-Mora. In his writing, Stair traces the connections between art and ceramic work back to Roger Fry in the early years of the last century, and to the close links between early British modernists Ben Nicholson and Henry Moore and William Staite Murray, for example. I have looked at a lot of work by young artists working with ceramics this year, but Stair’s is work that comes at the proposition from quite another angle. Before we engage with work that is perhaps a response to our digital age, we need to check in with this sophisticated contribution to a dialogue between art forms that has been underway for a hundred years now.